When I saw the ad for the Shrek collection from OPI I knew it was post material. In the OPI tradition the names are a ‘hoot’…Who the Shrek Are You, What’s With the Cattitude, Funkey Dunkey and so on. 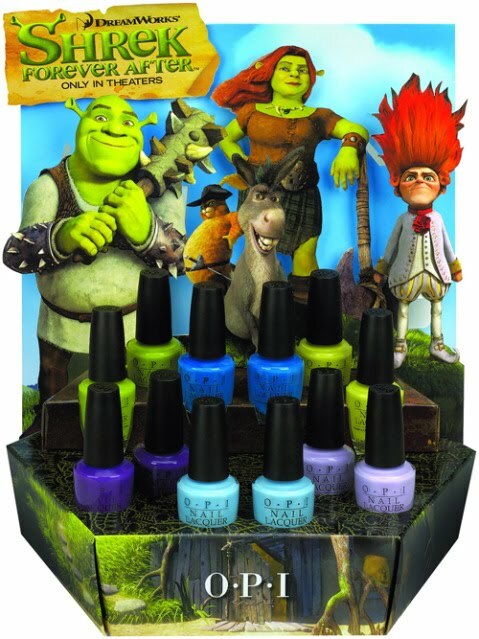 To see the colors in action check out OPI Shrek Forever.